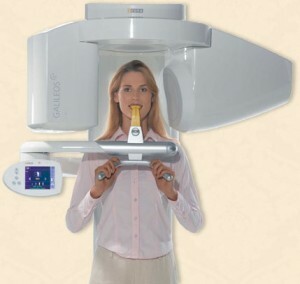 Tyngsboro Cosmetic Dentistry is proud to offer the Galileos 3D CT Scan. This system provides high-definition, three dimensional digital imaging of the oral and facial areas. The Galileos 3D CT Scan offers a three dimensional view of oral and maxillofacial formations. This allows for superior accurate treatment planning and with decreased radiation exposure that is commonly found with conventional CT scans. The advantage that 3D imaging holds over regular dental x-rays is that bone structure, bone density, tissues and nerves can be clearly viewed. This system provides a short 14 second scan time which limits radiation exposure and decreases the chance of patient movement. With its high resolution images, dental implant planning and surgery is precise and accurate. For more information on the Galileos 3D CT Scan contact Dr. James Yankowskas with Tyngsboro Cosmetic Dentistry at 978-649-7773. Learn more about the services Dr. Yankowskas offers by visiting his website at www.tyngsborocosmeticdentist.com. Is your smile not what you want it to be? If you would like to change your smile cosmetic dentist Dr. James Yankowskas DDS can help. Dr. Yankowskas offers many cosmetic dentistry procedures including the most popular, bonding and porcelain veneers. But what is the difference between the two? If you are unhappy with your smile and would like more information on bonding or porcelain veneers call Dr. Yankowskas in Tyngsboro, MA at 978-649-7773. Learn more about Dr. Yankowskas and his practice by visiting his website at www.tyngsborocosmeticdentist.com. Accepting patients from Lowell, Nashua, Dracut, Chelmsford, Dunstable and all surrounding areas.